Today on SOB, Dr. Tony Warrick, minister, author, business consultant, and an entrepreneur discusses his journey towards incorporating God into his daily life and overcoming discouragement. In episode 71 we hear from guest Patrick Osei, Founder of Hot Money Studios based out of the U.K. In episode 69 we hear from guest Suprena Hickman, a registered nurse and the founder and CEO of SHE (Suprena Hickman Enterprises) where she serves as a consultant and certified integrative health coach. 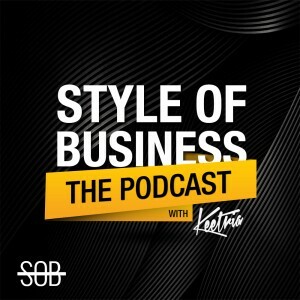 Today on SOB, Tim Simpson, known as Tim the Motivator, speaks about his experience as a serial entrepreneur who has owned multiple businesses and taught others to do the same.